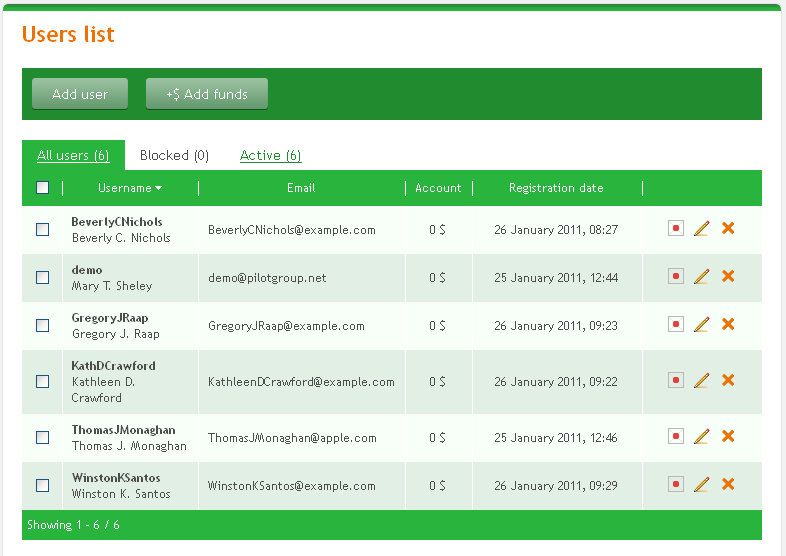 A list of site users – all, blocked and active. 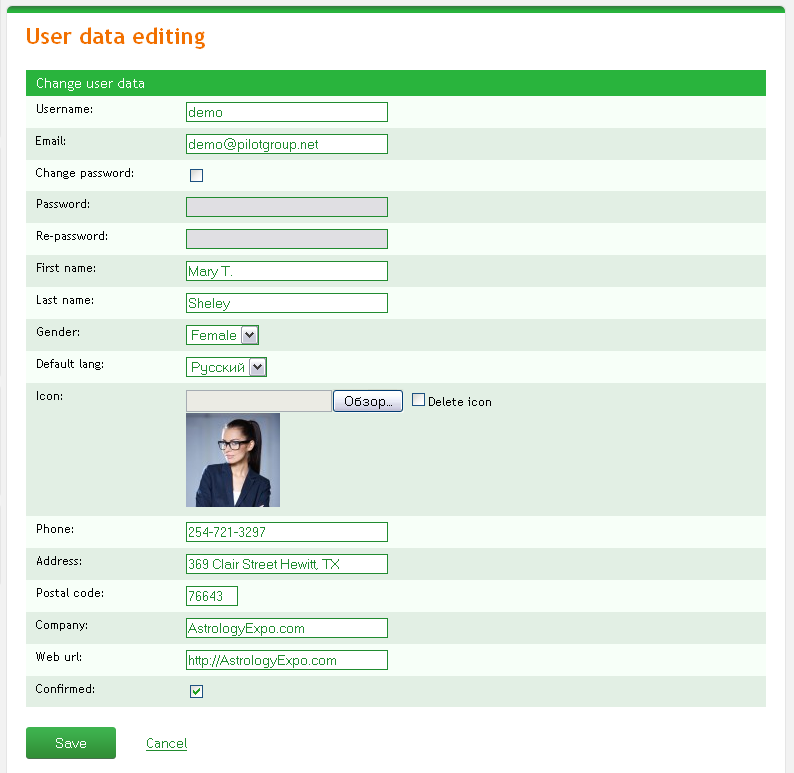 You can sort the list by username, email, account balance and registration date; add, edit, remove, enable and disable a user. Press “Add user” to create a new profile. 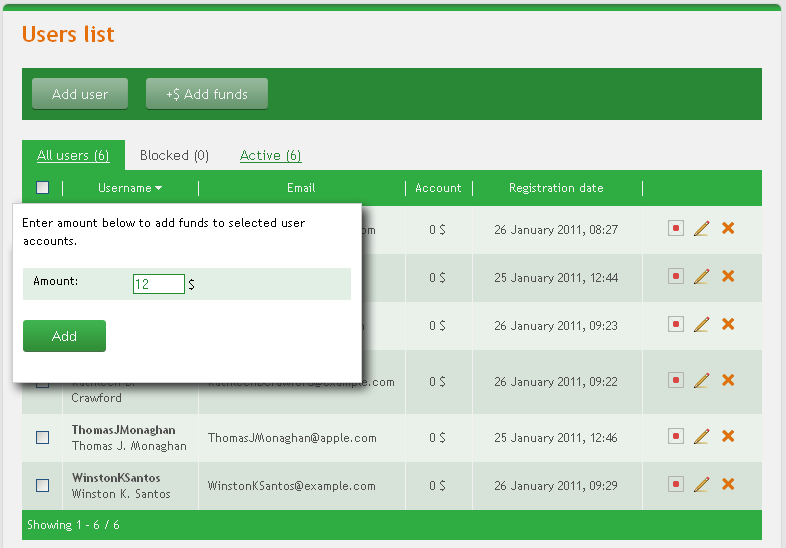 Press “Add funds” to add a certain amount of funds to user virtual account.